CHRISTIAN FRoM PASSAU WINS THE HOME MATCH OF HIS LIFE WITH 30 FRIENDS AT THE ALLIANZ ARENA. 30 friends in the VIP area, 5 goals of the FC Bayern Munich, 1 world champion at the meet & greet: On the 14th of October this unique Fan Dream became true for Christian from Passau. 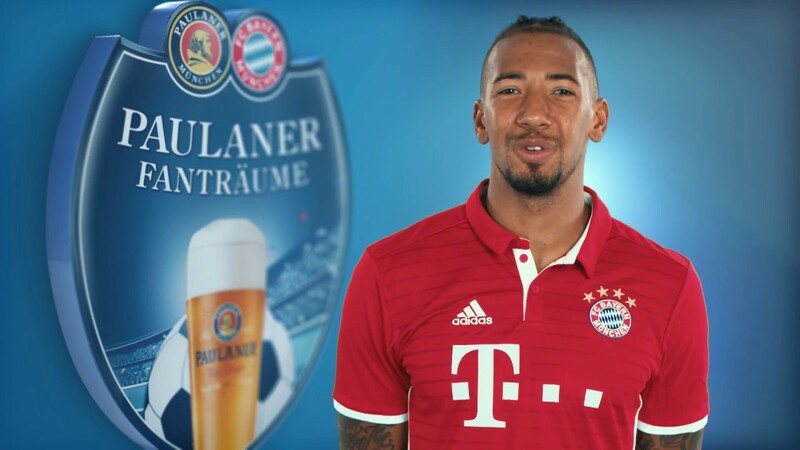 As the winner of the Paulaner Fan Dream „Home match of your life“ the confirmed Bayern Fan was guest of Paulaner in the VIP area with 30 friends, experienced the game against SC Freiburg on first-class seats and met Jerome Boateng within a personal meet & greet. Here you can see the best pictures and the fantastic movie of this Paulaner Fan Dream! PICTURES & IMPRESSIONS FROM THE PAULANER FAN DREAM "THE HOME MATCH OF YOUR LIFE"
"We have the best fans in the world and are proud to give everything for them. Each and every one of our fans deserves this priceless prize — that's why I think this Paulaner promotion is really brilliant. See you in Munich!" "For many years, Paulaner has captivated our fans with spectacular promotions like the Paulaner Cup. We think it's great that our long-time partner is now giving even more fans the chance to fulfil a lifelong dream. And we are looking forward to welcoming the winners to the Allianz Arena." "In football, you only win by working together — and for us, that includes the best fans in the world. So I am thrilled that Paulaner is giving our fans this unique opportunity: Celebrating with your family and friends in the VIP area of Allianz Arena — you won't want to miss it." Even the arrival will be an experience - our Bus will conveniently collect you from home and take you to the Allianz Arena. ... YOU CAN GET YOUR STRENGTH UP DURING THE JOURNEY. During the journey, you can fortify yourselves with a tasty snack and, of course, enjoy some Paulaner Brewhouse specialities. In the Allianz Arena, you will be taken directly to the VIP area where our charming Paulas will welcome you. Enjoy the Bavarian drinks and food in the Paulaner Lounge – and get ready for the match. With your 31 tickets, you will then experience a Bayern home match of the 2017/2018 season, live from amazing seats in the Allianz Arena. Meet an FC Bayern Munich star live and have a drink with him and your friends, toasting the new season.